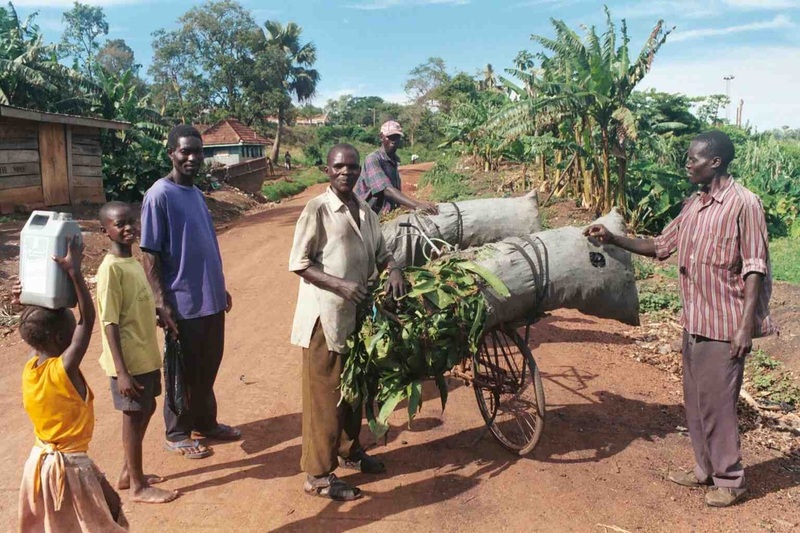 Many different ethnic groups reside in Uganda, defined by the language they speak. Although English is the official language, about 40 different languages are spoken in various regions. 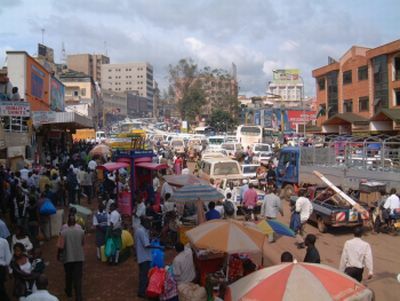 The language of Luganda is spoken for the most part in Kampala and in the Buganda region. Swahili is the country's second official language. 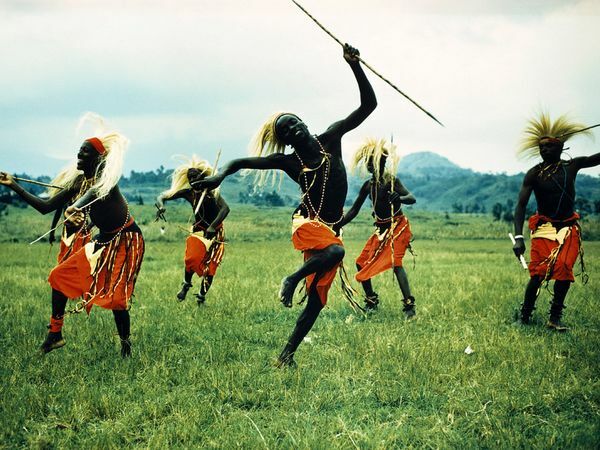 The Bantu language is spoken in the southern parts of Uganda. Nilotic is spoken in the northern regions. 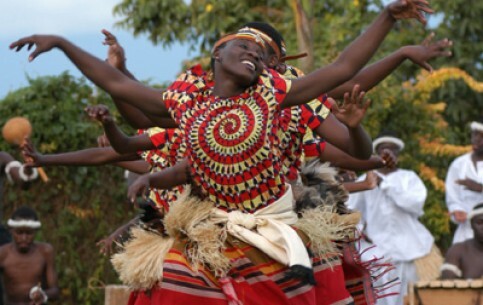 The largest ethnic group, the Baganda, only makes up about 17% of the population. The landlocked country of Uganda is located in East Africa, and is bordered by Kenya, Sudan, the Democratic Republic of the Congo, Rwanda, and Tanzania. Uganda is separated into 77 districts spread across the northern, eastern, central and western regions of the country. These districts are further divided into separate counties. The substantial natural resources in Uganda include large mineral deposits of cobalt and copper, and very fertile soil. Untapped reserves of natural gas and crude oil are also found here. 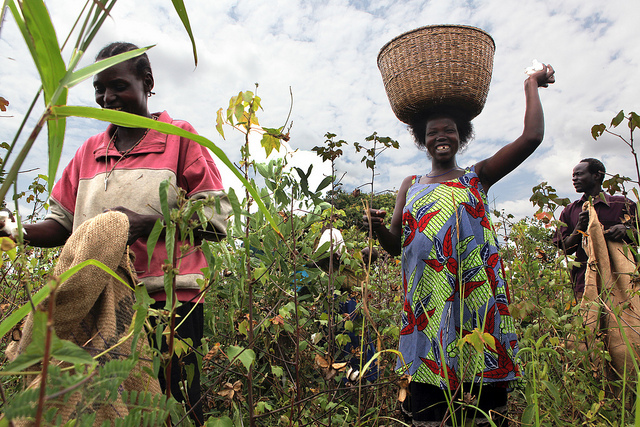 Probably the most important part of Uganda's economy is the agricultural portion, employing over 80% of the work force. Uganda's main export is coffee. The capital of Uganda is the city of Kampala with a population of 1.2 million. Kampala is the largest city in the country and is separated into five boroughs, Kampala Central, Makindye Division, Kawempe Division, Labaga Division, and Nakawa Division. Uganda is situated in the east portion of Africa on a plateau around 3,000 feet above sea level. The country is almost entirely in the Nile basin, making the southern region of Uganda difficult to drain properly. The Sudanese Plain is in the northern portion of the country is, and Lake Kyoga is in the central part of the country. Lake Kyoga serves as the boundary between the Central Sudanic language speakers of the north and the Bantu speakers of the south. Uganda is considered to be an equatorial climate but has varying amounts of rainfall. The southern portions of the country get more rainfall than the north. Until 2,300 years ago, the initial inhabitants of the country were hunters and gatherers. The Bantu speaking population migrated into the southern regions of the country, developing iron-working skills and bringing along ideas for political and social organization. The earliest form of organization was in the 14th and 15th centuries by the Empire of Kitara. Then came the kingdom of Bunyoro-Kitara along with Buganda and Ankole. In the north, the Niotic people migrated into the area and became subsistence farmers and cattle herders. Arab traders came from the Indian Ocean in the 1830's, soon followed by the British explorers in the 1860's. Catholic and Protestant missionaries made their way into Uganda in the late 1870's. The parliament of Uganda is made up of the National Assembly, which includes 332 members. A president and a prime minister who helps in governing the country lead Uganda. The Uganda Museum, located in Kampala, is the oldest and largest museum in the country. Started in 1908, this museum features various exhibits displaying archaeology, traditional music, ethnography, and the independence pavilion of industry and science, ethnography, and paleontology. Also in Kampala are the Kasubi Tombs, a site where many members of ancient Ugandan royalty are buried. This historic site is a very mysterious place where you can learn of the country's past. Situated on top of Mount Sabinyo, at 12,000 feet above sea level, is the Mgahinga Gorilla National Park. This mountain is one of the terrestrial volcanoes that make up the Virunga chain. In the forest on the mountain, it might be possible to spot a gorilla if you are patient and observant. In the city of Entebbe, is the Entebbe Wildlife Education Center, one of Uganda's most popular tourist sites. There is a vibrant and active nightlife in Uganda. Many of the hotels in the country have their own nightclubs on the property where music and dancing are available. Bars and clubs all over the country offer traditional African music along with other music types as well. Many of these clubs also offer karaoke and dancing Restaurants around Uganda offer outdoor seating so you can enjoy the outdoor atmosphere. A great way to see the cities of Uganda is to simply take an evening walking tour. Christianity is the predominant religion in the country, encompassing about 85% of the population. Other faiths include Islam, Judaism, Hinduism, the Baha'i faith, secular beliefs, and other indigenous beliefs. Of the Christian denominations, Catholicism has the largest participation, followed by the Anglican Church. Only about 12% of the population of Uganda is Muslim, including the current president. Influenced by the president's participation in the Muslim faith, the religion has been growing in size in Uganda. Ugandan cuisine is made up of traditional cooking with influences from Asia, Arabia and England. The food varies in complexity from simple meals of meat and beans to more complex seven course meals. Main dishes typically revolve around meat with beans and a stew or sauce of groundnuts. Some common sources of protein in a Ugandan dish include goat, chicken, fish, beef and mutton. The fish that is used in cooking is normally fresh, but sometimes a dried variety is used for stews. A dish called ugali, a thick porridge, is a popular meal for breakfast. Fruits are a big part of the Ugandan diet and usually eaten as snacks or for dessert. The Europeans introduced cake and that has become very popular as well. Alcoholic beverages include pombe, a local beer made from millet, and tonto, made from bananas.